This past week has been a whirlwind of the good, the chaos, and on the go! It was so busy last week I didn't even get a chance to blog about all my adventures so this week is all about catching up. I had the opportunity to meet up with my San Antonio Blogging Buddies for a movie screening of Moms' Night Out (#MNOmovie). I absolutely loved this movie and loved the girl time we had together. Lisa Douglas over at Crazy Adventures in Parenting was the master mind behind our little get together. The movie is for any parent, but specifically any mom will absolutely nod her head in agreement with every aspect of this film. You will laugh and cry. The movie has a strong emphasis on faith and you will walk away with hope in your heart! I don't want to spoil the movie for you with too many details but I can guarantee you won't be disappointed! The movie opens in theaters Mother's Day weekend. 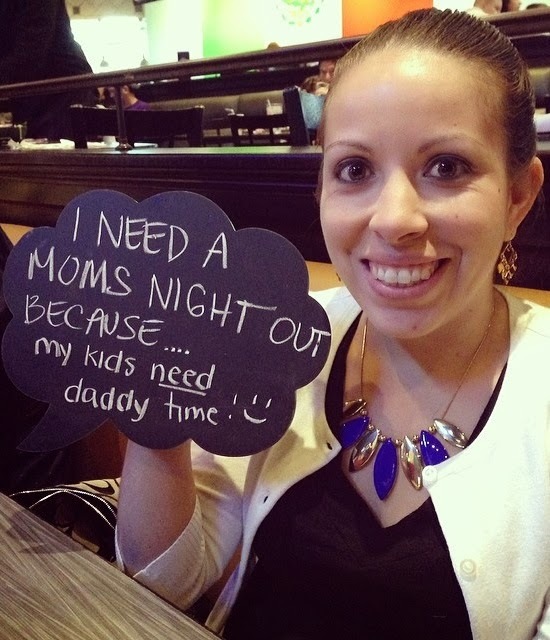 You can read about our girls night out and Lisa's take on the movie here.